When you realize it’s time to put together your company’s annual financial report, do you let out an inevitable groan? If you do, you might be interested to know that the investors for whom the report is intended, feel similar to you. A survey by the US Securities and Exchange Commission in 2008 found that more than half of investors responding rarely, very rarely or never read company reports. According to Edo van Dijk, creative director of Dutch brand company Eden Spiekermann, one of the reasons is because they are filled with legal, accounting and technical jargon. “It takes readers too long to find and extract relevant information” from the average annual financial report. “Except for the hardened professional who’s willing to dig deeper, the reports are often too burdensome to use,” he says. But according to van Dijk, it doesn’t have to be that way. Here are four ways in which your annual financial report can become more user-friendly and thus better read by those for whom it is intended. Connect with all potential stakeholders. Van Dijk makes the point that potential readers of annual reports extend much further than just investors. Job seekers, journalists, policy makers and employees can easily access your annual financial report online as well. They represent important – if not oft-thought of – stakeholders to your business. Remember this when compiling the report – the figures you report, and the way you communicate them, should also cater to their specific needs. Use plain language. Today’s digital annual financial reports meet a much wider audience than the printed reports of yester-year. For that reason, they need to be easily understood by the general reader as well as specialised finance experts. So be cognisant of using universally understood language and concepts to get your point across. “Translate” financial jargon into everyday speak. Enlist outside help to get this right, if necessary. Use online capabilities to create content in new ways. If your annual financial report is going online, you will be able to use multimedia and online functionalities to present your content. For example, could you preface the financial results with a small video? Can you use interactive PowerPoint presentations or multimedia recordings to get a point across? Notes to the financials giving details to various line items. 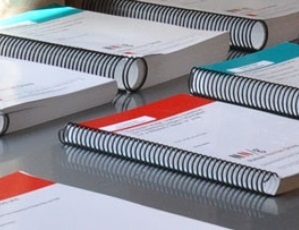 However, more companies are choosing to combine their annual financial report with other reports, such as a report on the company’s corporate governance, socio-economic development activities and contributions made by the company, broad-based black economic empowerment reports, environmental impact reports and reports on the corporate governance of the company. Companies that choose to report in this way are seeking to show how they have created value in a holistic manner, rather than in financial terms alone. If you go this route, know that most people will still be perusing the integrated report for the company’s financial data. Some companies erroneously assume they can secrete undesirable financial results by presenting a wealth of other “value-related” information – in reality, nobody is fooled! Rather, use the integrated report to show how your company is enjoying financial success in a sustainable manner. If you need assistance in compiling or checking the data for your annual financial report, The Finance Team can assist. Our team of finance professionals has a wealth of experience in compiling accurate financial results, and can help you do so in a clear and compelling manner.